Pakistani fashion industry has become one of the most sought-after fashion industries in the recent years, thanks to innumerable fashion designers we find in the country. However, only those who make their mark are allowed to rule the industry. 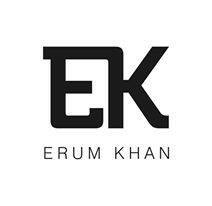 Erum Khan, popularly known as EK for her line of bridal wear, is one of them. With only five years to her credit in the local fashion industry, she has emerged as one of the best bridal designers in the country. Pakistan Today met with EK at her store on MM Alam Road, Lahore, where she spends most of her time, when she is in the city, dealing with customers and working on amazing new pieces. EK shares with PT her latest designs and her plans for the future. “My design philosophy is very stylish but with traditional touches and vice-versa in some cases,” says EK. Most designers say their customers’ happiness and the love for art is their driving force, but for EK money is the fuel. “For me making money is most important. I do not act as an artist who tries to be charitable by providing services to people. All I want is to make good money,” says EK while showing her most expensive bridal piece. This is the reason she caters to all mindsets from modern to conservative: everyone is allowed in her shops with the condition that they are ready to buy her label. “My designs should sell, I don’t care how. This is the reason I work closely with all my designs. It should be saleable on the spot,” she adds. EK knows that a certain mindset would like a certain type of design; hence she has it all at her store. EK recalls the time when she was a housewife and all her problems revolved around her servants, kids and family. Being a businesswoman today her worries have increased threefold. “When we are at home we can’t handle three to four servants, so imagine when you are working with about 400 craftsmen,” she says. “Unprofessionalism is what hurts me. They won’t understand what we have to offer until they are sincere; if only the karigars were as professional, it would have been a walk in the park,” adds EK. Who hasn’t been harassed in the field of work? That was a clear message to him among others that you can’t play with her. “I also try and keep my professional relations during office hours, 9 am to 9 pm, and not a minute after that,” she says. “Character assassination is very common in Pakistan and I do not mind that, as long as I do not have something to hide. I feel that women should change their mindsets before men do. Men do not gossip as much as women do, against each other,” she says. EK is also an advocate of women empowerment. Her dream is to build an empire. Many women can do the same which would be beneficial for Pakistan at the end of the day, she thinks. “Five years ago, I started off with just two men in my servant quarters. Now 400 men are employed under EK,” she flaunts. She challenges people to compare her dress with any big shot. It would be of the same quality if not better, she claims. Though designers usually believe in signature creations and designs, EK doesn’t like monotony. “My clients come to me because they feel that even if my clothes are very desi they do give quite the modern look: that is my signature”. My team gets annoyed at times because of my want of unique, different and modern stuff that also reflects in my personality, she laughs. She takes pride in the modernity of her clothes and their uniqueness, which can only be judged through close inspection of her dresses. One of PT’s favourites (shown in the picture below) has the most detailed and intricate work, a light fawn colour base with dark embellishments of emerald green, shocking pink, maroon and golden: about 10 different colours are used in that one piece with figured motifs at the bottom along with some stonework, but it didn’t look overdone by any means. “My clients would never wear my clothes and think these are too laden with work or heavy; this is for girls exactly of the same thought process,” she agreed. Though she believes in subtle wedding looks, some of her clients do ask for heavy work, more than she is accustomed too. “My clients are my priority, I can educate them as to what would be good or not but I won’t ever force them. Their wish is my command,” she says with a sigh. We asked EK how she was able to survive in this age of social media wars and limelight fights, considering there are ample of designers in Pakistan now. “I may be easy at catering to a small community but when you have to do it professionally it’s not a piece of cake. Especially when you know that the media is waiting for you to find the slightest mistake with your clothing range,” she replies. So why doesn’t she has a prêt line like all the others? Her luxury prêt is coming out in a month’s time, which will be in the range of15-25k so that youthful women can come and get the best pieces off the rack. Another thing that she does differently is dealing with her customers personally. I try meeting all my clients personally if I am available at the store, she says.